In 2014, I Want: More & Less. In the past two years, I've written down some specific tasks at the beginning of the year that I wanted to tackle in my reading and blogging life. When I reflect and recap at the end of the year, there are always areas where I'm successful and then there are things that I just completely bomb. I thought about doing the same for 2014, but I decided to make a change to reflect what I want my mindset to be like this year. I absolutely love re-reading! There's something about returning to an old favorite or even a recent find that's just comforting and worthwhile to me. I always discover new things to love about a book's characters, story, or the writing... and sometimes I learn new things about myself! So, I want to try to spend more time re-reading this year. It doesn't matter how many books - I just want to give myself the freedom to re-read. This was a goal I set for myself in 2013, and it's something I want to continue in the new year. Some of my very favorite posts to write were discussion posts, and I want to keep incorporating those into my blog. Whether it's bookish thoughts or personal reflections, it's always fun to write things that let you see me and my brain a little bit better. Those are my favorite posts to read on other blogs, so I want more of them this year. 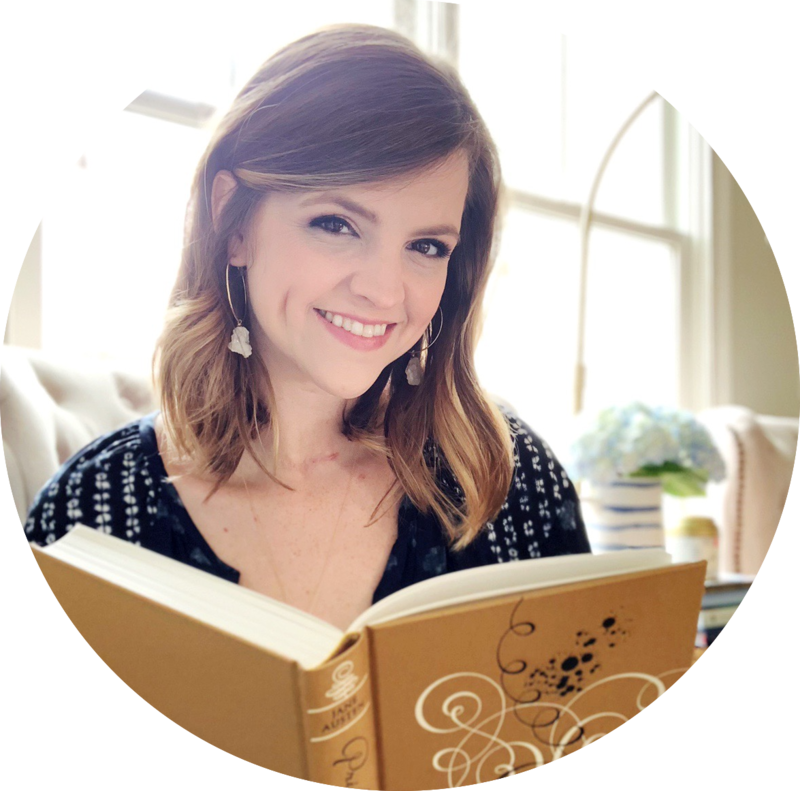 I spent a few hours the other day replying to blog comments, and I noticed that several people mentioned that they always found new books (things they hadn't heard of or likely wouldn't have gotten on their radar) through my blog. It made me so happy to read that because I've always hoped that would be true of my blog. I love books across ages and from so many genres, and I've never wanted blogging to alter that part about me as a reader. So, I want to continue to have lots of variety in my book choices in 2014! I don't have a big blog schedule, post every day of the week or schedule things far in advance. I like planning and organization so I'm not completely all over the place, but I am often writing posts the night before I want to publish them. Towards the end of 2013, there were several times where I was able to schedule out a week or two of posts in advance - and I loved it! I hope to do that more often in 2014, too. While I don't want to pressure myself to do it, I would love to have more of a plan when it comes to posting, replying to comments, reading other blogs and leaving some comment love! I'm definitely not the most creative blogger, but I'd like to challenge myself to think outside the box and find new ways to show my originality on my blog. Some of my favorite blogs are the ones where the person behind the screen comes to life through their posts and their ideas. You all know the kind of blogs I'm talking about! I don't know what that means for me exactly, but I want to take the time to think about it. 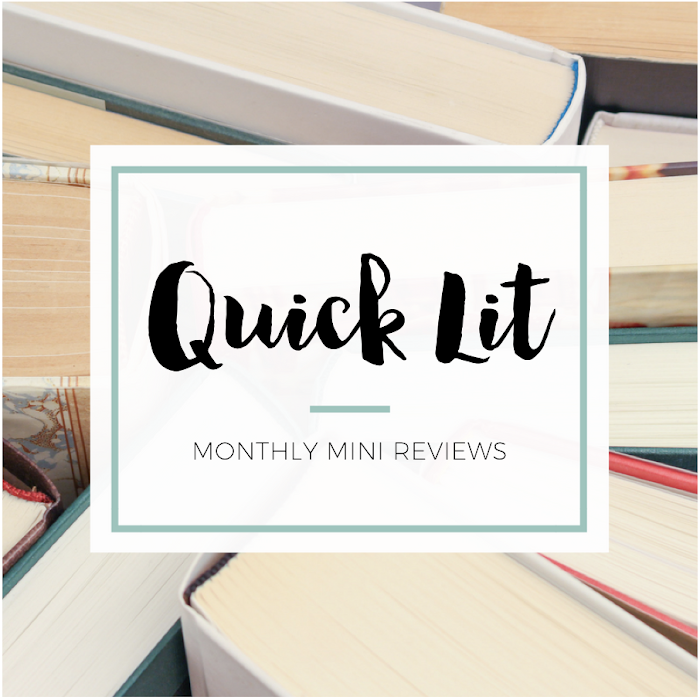 For some reason, I really struggle with my feelings on NetGalley and review books in general. I think NetGalley is a wonderful tool that I obviously utilize for my blog, but it also bums me out that I have gotten so focused on reading books by a certain time. I haven't even gotten that many, but it still feels like too much. I own so many books that I was legitimately excited to buy - so why am I not reading those? I want less obligation in the new year, and I know that means making changes to things like reading books for review. As always, I don't want to buy quite so many books in 2014. I always stay within my budget every month, but I still feel like I'm spending too much on this area. I think I feel that way because I'm not reading them at the same rate that I'm buying them. If I was going through them quicker, I think I'd feel less guilt about getting them in the first place. I don't want to try and set a limit on the number of books I buy, but I want to think long and hard about every bookish purchasing decision I make. It's easy to get caught up in what you "should" do when blogging. From commenting to posting, I put a ton of pressure on myself to have it all together. While I want to strive to make my blog better, I don't want to get caught up in that performance trap of feeling like I can never get caught up. I did better in 2013 - letting myself close the computer whenever I wasn't feeling it, for example - so I'd like to continue that moving forward. Blogging is supposed to be fun, and there's no reason to stress myself out about it. To be honest, this is tied into the two goals above. When it comes to shopping, I feel really guilty about how many books I own that I haven't read. The only way I know how to work on that is to a) read more of what I own and b) stop bringing in so many new books. And when it comes to pressure, I feel guilty about not commenting enough or replying to comments quickly. I used to love replying to comments, but I find it really draining lately. I don't know that very many people really come back to look at it, so I always wonder if I'm wasting my time. As far as leaving comments, don't even get me started. I absolutely love doing it, but I also feel like I can never find the time. Either way, I want to stop feeling so guilty about it. There were a lot of books that I read this year because I heard other people talking about them. Nobody pushes books better than a group of book bloggers on a mission! While the hype and excitement surrounding certain titles definitely helped me find a few new favorites, I still spent a lot of time reading things that weren't really right for me. I want to spend less time reading the titles that are hyped and more time discovering for myself what books catch my eye. Will they still sometimes be the "big" books? Sure. But I want to focus less on what everyone else says to read and more on what I truly want to read. I'm with you especially on the planning and creativity. Hopefully, increasing the first will allow me to increase the second! Yeah, I long for more variety but I also know that sometimes it's hard because everyone starts talking about a book and then suddenly you want to read it too! There aren't many re-readers out there, so yeay! I love re-reading too :) One of my goals is also keeping up with my discussion posts. The comments are overwhelming and so much fun to read. Good luck! I LOVE this approach to New Year goals! And I'm right there with you, especially on the "Less" categories. As for the commenting thing...I am the somewhat rare person (from what I understand) who does check the "notify me" button on Blogger blogs and reads responses, mostly because I know a lot of bloggers take a lot of time to answer. The only time I would *expect* a response (eventually) though is if I ask a question. On my own blog, I religiously respond to comments, but that is mainly because I only have a small following and there are not so many comments that I can't keep up. I have often ended up continuing the discussion in the comments because I have really gotten to know the small group of people who regularly comment and I know some of them do come back and check and sometimes the commenting continues -- but that' is just my two cents based on my own experience! Thanks Christine! Haha yes I know we've talked before about how you do subscribe to comment replies. And that's a reason I do still care about replying - because there are people who check. But I also know that I gotta just relax this year and let go of my stress about it. I'd rather leave comments on other blogs than reply to them on mine so that's what I need to prioritize! I wanted to yell out "Yes yes YES!" to everything on your list. You managed to perfectly put into words everything that I've been thinking and feeling over the last few months! I've actually stopped reading a lot of book reviews and mainly reading discussion posts on most of my favourite blogs, unless it's a book that I've read or am interested in reading. I'm finding that this helps to keep my TBR under control, and also allows me to spend time reading posts in my feed that are ones that I really ENJOY reading, and also have the time to comment on them. Although I do like reading reviews, I find that it's the "other" stuff on the blog that I'm becoming more and more interested in. And I've LOVED all of your discussion posts thus far, so I really hope you keep doing them! I noticed in your end of the year survey that we title ours the same "On...." How cool is that? And I'm so with you on buying less books and reading what I already own. I'm focusing on reading books off my shelves this year, and staying away from the overhyped books too. I put a lot of books on hold at the library over the last year because they were raved about in the blogosphere, only to find out that they were just allllll right in my opinion. While all these amazing books sat UNREAD on my shelves. And obviously I was super excited about those books at one point in time! I'm also with you on the replying to comments thing ... I used to reply to all of mine too, but I'm pretty sure that no one ever comes back to check on a response and it used to stress me out a bit when I'd end up with lots of responses to right. I also have been trying to plan a bit ahead, and finding that it really helps to make blogging more fun! For example, I have some posts scheduled through February (like Top Ten Tuesday posts that are easy to write way ahead of time, or posts related to our sequel & prequel challenge), which means that I can just sprinkle in reviews here and there as I finish books. P.S. Just for the record, I think your blog is one of the most creative blogs out there! Thank you sooo much for all the sweet words, Melissa! I hear ya on reading fewer reviews. I've started doing that, too, and I really like it better. I'll read reviews from certain bloggers that I love and have very similar taste to and mostly just stick to other types of posts for everyone else. I hope we're both successful at the TBR/read what we own thing this year! I love this list ^__^ I definitely want to do more rereading this year. I didn't have time to do it in 2013, but I'm going to relax a bit this year and reread more of my favourites. Like Harry Potter and Darren Shan! They definitely need a reread. I think I nailed planning in 2013, and hope to continue with that this year. Good luck with your goal! I loooove being a couple of weeks ahead of schedule, it makes me feel much more relaxed and also free to do what I want. It's also giving me more time to leave comments! NetGalley and Edelweiss are the bane of my life. I can't stop requesting/downloading things! I too want to request less books for review this year, because I have so many books on my TBR shelf, and I can always buy the ARCs that I would have received later on. Seriously, having stuff planned in advance is such a relief! I want to do it more often because it's the best feeling. And I hear ya on NetGalley. I love it and totally hate it, too. How sad is it that I only re-read ONE book this year? Prior to blogging I loved to revisit books, but now there's suddenly this pressure to stay on top of the game and read the newest and latest novels. I definitely gave in to that pressure and while I certainly read some excellent books, I feel like I missed out on a ton of others I would have loved just as much. On the other hand, I also read some horrific books out of obligation - netgalley/ARCs - and cutting back on the number of books I request is something I want to work on this year. Oh I am SO with you when it comes to scheduling. For the most part my posts go live as I write them. Around the end of 2013 however, there were a few weeks that were completely scheduled and it felt magical. I'm all for variety! Prior to blogging I rarely read YA and mainly stuck with Adult thrillers/mysteries. Since then my tastes have broadened and it's great. I'm loving how a lot of YA bloggers are getting into Adult - it's so much fun to have other people to talk to about these books! You're doing an incredible job Hannah, and I cannot wait to see what you bring this year! I think this is such a good idea. One of my favorite mantras to use when trying to change habits or outlooks is "add not subtract" meaning focus on what you want rather than what you're not going to be able to have/do and I think this kind of fits with that. I'm drawn to the ideas of more variety and less obligation. Getting books on Netgalley or Edelweiss is great, but I hate when I post a review on a day that lots of other bloggers post the same review because the book comes out soon, you know? 2014 is definitely the year that I want to read what I want and just have fun. Excellent plans for 2014!! I really want to do a lot more re-reading this year too. There are so many books that I need to experience again! I feel like so many of these things read true to me. Blogging has definitely changed the way I read, and while a lot of that is a good thing, there's negatives too. I rarely reread, and I find myself spending more time reading review books instead of books I want to read. But on the other hand some of my favorites this year have been those I've been sent for review. So there's definitely a balance, but I'd definitely love to be able to get back to rereading in 2014. I absolutely want/need more variety in 2014. I always feel like we're all (as bloggers) reading the same ARCs all at the same time which is nice for discussion but does get a bit old at least for me. I'd love to be able to make time for those older books that I've missed out on over the years. I am SO OBSESSED WITH this post (and yes, this was done intentionally). I certainly agree with everything on your more/less lists in this post! I could probably go through this entire list one by one in my comment, but generally, they all feel just as applicable to me as they do to you, I think. I would love the opportunity to re-read some of my favorites! I'd really like to do that with my series, especially, just because it's so fun to revisit characters, fall in love with them again and even discover things/details I might have missed the first time around. I also want to integrate more discussions into my blog as well, though I never know what to write about until something randomly strikes me! Right now, I'm doing really well with planning and staying on schedule for the blog, and I hope that stays true all the way till the end of this year. As for the things you want less of, I'm with you on all of it. I'm especially in agreement when it comes to the book shopping and the "obligation". 2013 was the year I got access to more ARCs than I ever have before! While I'm utterly grateful, and still so honored, I really want to make it a point to pick out the ones I REALLY want to read, instead of just falling for the book hype. I also want to spend less on books in an effort to read what I already own! I love how you separated your resolutions into "more" and "less." I agree with you about a lot of these things. For the first time in YEARS, I re-read some books this past year...the Divergent series and the Hunger Games series, and I really liked it. I don't know if I'll have time to do any re-reading in 2014, but it's definitely something I hope to do more in general. And I think we all need to spend a little less when it comes to books! I just feel like I can't help myself sometimes and it's so frustrating. I really need to work on that one. I love the way you set up this post. Why are you such a genius? We have so many of these things in common... in particular shopping and feeling guilty. I'm trying to eliminate those bad feelings from my life in 2014 because I hate laying awake thinking of the things I didn't do during the day that I should have or how my money seems to be non-existent after working hard all week. Sigh. Both of these things are just... a theme in my life though. I feel them for just about everything. I don't worry too much about replying to comments, and I honestly don't care if people get bent out of shape about it. I read them all, I appreciate them all, and if I feel like I have a response I send one through twitter or an email or some other way. People should understand this is not a full-time commitment and we can only do what we can do. I can really relate to most of the things on your list. I used to re-read all the time and I really miss it. I'm currently re-reading My Life Next Door and it's just so wonderful. That book just makes me happy, and that's so important. I also thought about adding more discussion posts to my blog (or just some piece of mind posts in which I talk about THINGS) because I love reading those. I started using a blogging schedule a few months ago and it's seriously the best thing ever. I took a blogging break, planned out the next couple of months and scheduled all the posts I already could. It makes blogging less stressful and much more fun! Two things that keep getting to me are pressure and obligation. (Hence the comment above about how blogging can be stressful.) I love Netgalley and Edelweiss and I want to read all the books, but I just don't have time for it. Uni is so busy and I don't want to be all focused on review books, when I have more unread than read books at home - books I really, really want to read as well. One of my goals for 2014 is to request less and read more of my own books. Now let's see if I'll be able to resist all those shiny new books, haha. And the pressure of blogging, sigh. It really gets me down at times. As much as I love blogging and talking to other book lovers and discussing books, I often feel like we are all supposed to do things. Like blogging comes with a rule book, that often, I don't have the time to follow. But like you said, no need to stress yourself out about blogging when it's supposed to be a hobby. That's me saying, hey let's do that. I like your goals, and look forward to seeing this year's. I'd like to say, though, that as a teen librarian, I am always disappointed to see other bloggers refer only to obtaining books by getting galleys or buying them in stores. Please remember that there are libraries in your community who think about your reading preferences, consider you as part of their vital demographic, and purchase books they think you will want to read, and consider checking them out. At most libraries you can check them out for two to three weeks and then renew them at least once for an additional two to three weeks, so you get lots of time to read, consider, and review without spending the money. Since we are spending it for you, we are really hoping you are coming to our library and using it! (Many of us also have e-books that you can get for your e-reader without ever leaving home, if that's an issue.) So check it out!